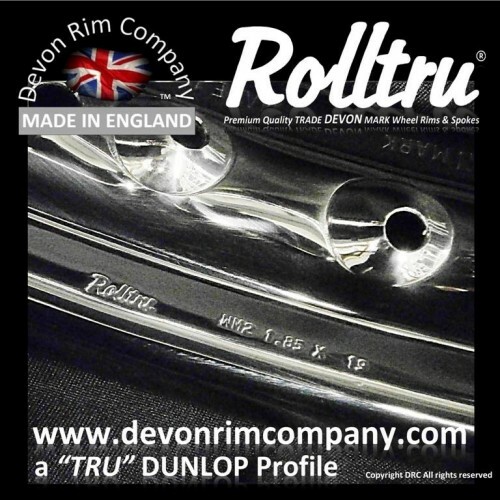 Devon / Dunlop Part Code =BSA19-SS. 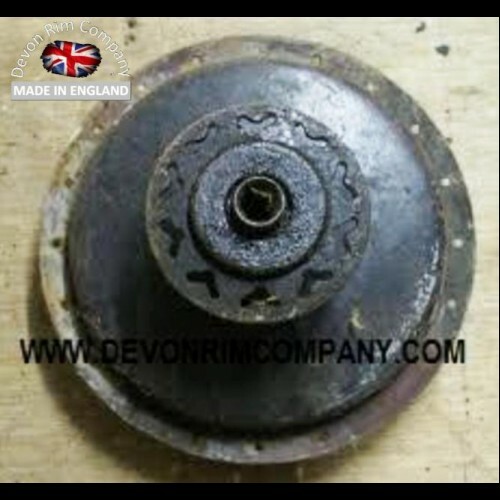 OEM Part Ref = 65-5916. 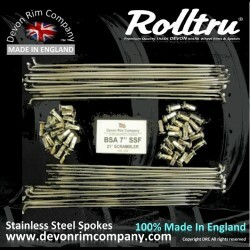 Bike Fitments = A7, A10, A50, B31, B32, B33, M20, M21 & more. 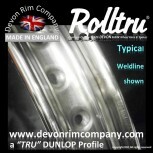 Rim Size = WM1 (1.60") X 21'' X 40 Hole. 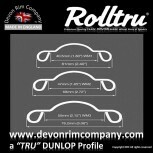 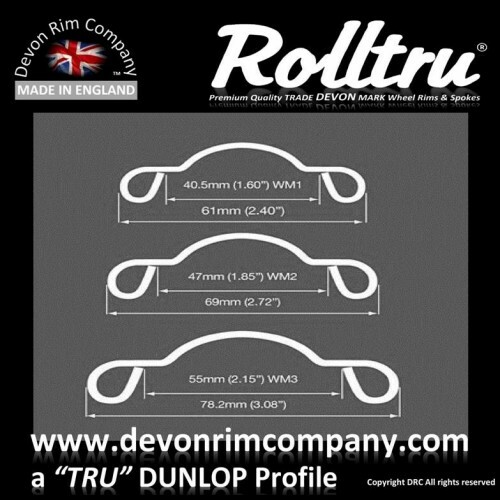 Order This Product Direct from us, the Manufacturer, and be sure of a quality British Rim. 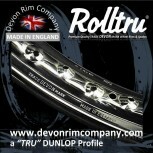 With over 25 years of rim & spoke production experience and a product that is not imported and re-branded but truly. 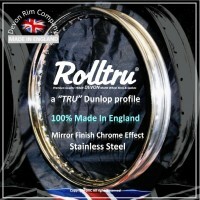 Dunlop / Jones Style rolled edge "FIT & FORGET" Mirror Finish Chrome Effect Stainless Steel Wheel Rim. This Rim is manufactured from High Grade 304 2b, Quality controlled, certificated Stainless Steel and Pierced to OEM specifications. 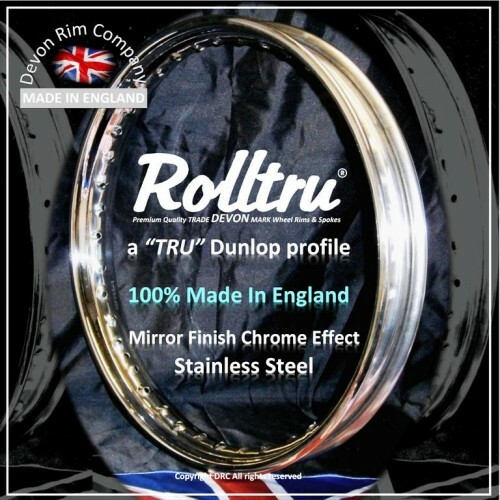 Individually hand welded, formed & polished to Mirror finish that looks as good as Chrome without the Rust, "Most people cannot tell the difference". 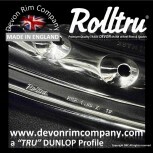 We & many 1000s of Trade Wheel Builders and existing customers and users feel they are quite simply. 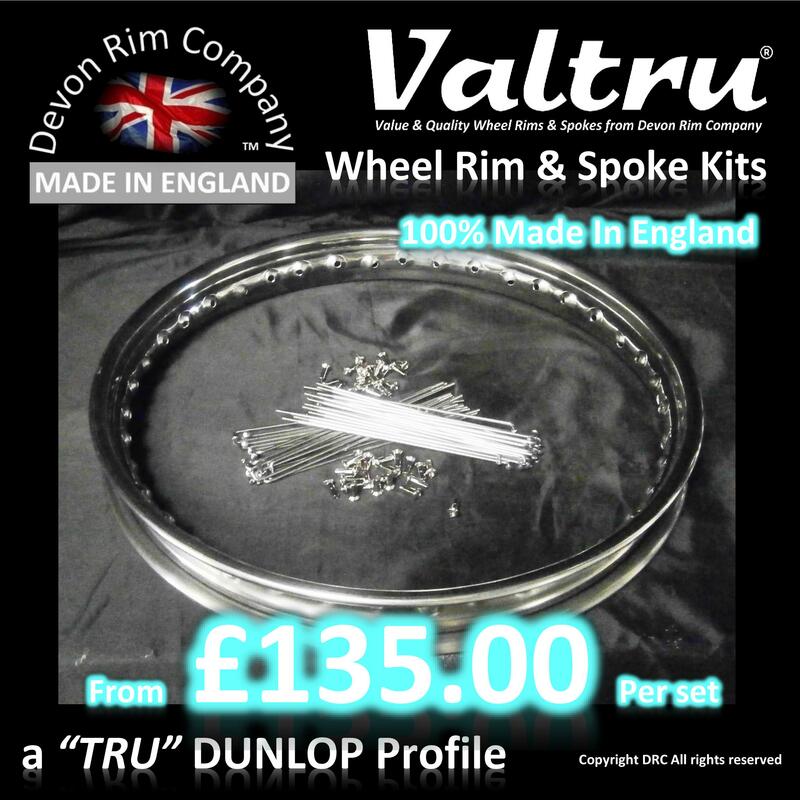 "The Best Wheel Rims Money can buy"
Stainless Steel Spoke set for Standard 21" Rim Manufactured from High Quality Stainless..